Today is Day 2 of the 3 day Blogging Marathon on Fritters. My recipe for the day is for Perkedel Ketang which is a potato based fritter from Indonesia. It is yummy, easy and actually does not need too much oil. And as I write this, my two year old has already finished one and is in the process of cleaning off the next one. What more can I ask for? Boil potatoes so that it can be mashed completely without any lumps. Grind garlic and shallot to fine paste. Add the shallot, garlic mix to the potatoes. 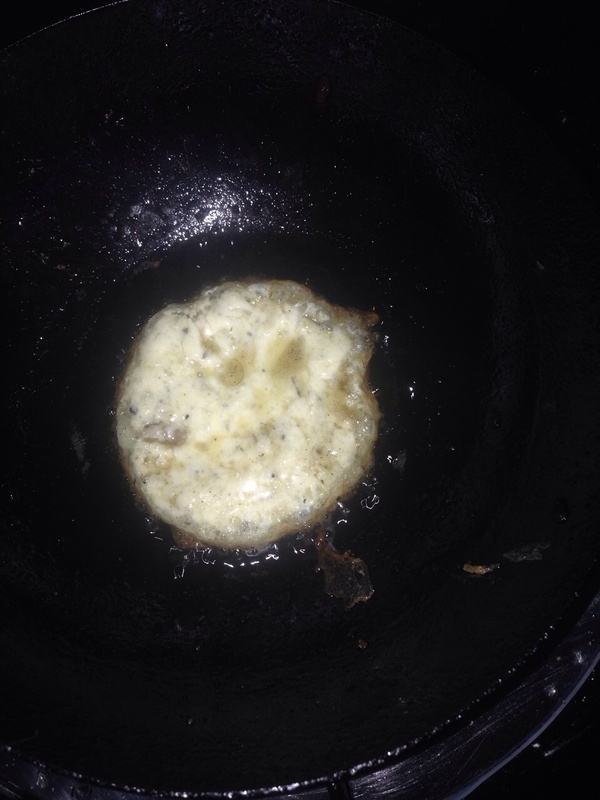 Patties should be half submerged in oil. 1. You can use any other type of potatoes to make these fritters. The advantage of Russett potatoes is that it is easily mashable and also easy to shape. 2. If you are not using Russett potatoes then you may have to add some corn flour to the potato mix in order to be able to shape the patties. The quantity of corn flour depends on the type of potatoes used. 3. The preferred method to grind garlic and shallot is by using mortar and pestle. But you can grind with a mixer or you can grate them. Never heard of them but they looks and sounds yummy. Sounds more like our cutlet right..good one..and lil ones enjoy, what more can we ask for! 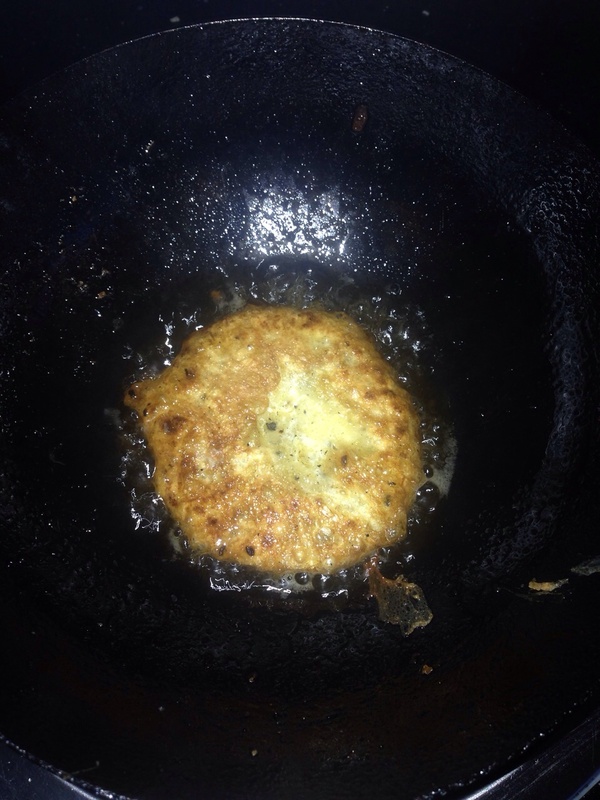 Very crispy fritteres, if i make this fritters, i wont keep myself away from them. These aloo tikkis (whatever other name it is 🙂 ) are very addictive. These potato fritters are addictive for sure!! If the family loves it then it is worth the effort. Looks yumm, similar to cutlets,potato is such a versatile veggie, can be made into anything!!! It should definitely taste god if approved by a 2 year old. They are the hardest critic to satisfy! Lovely recipe. Wow, those Indonesian aloo tikkis look amazing — so crispy and delicious. wow!!! a very easy fritter from Indonesia!!! This is tempting and delicious.